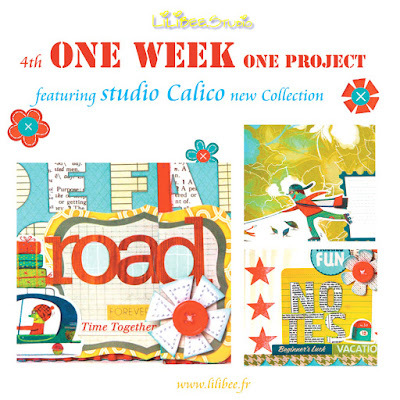 4th " One Week One Project" sneak Peek!Aperçu 4eme " Une Semaine Un Projet "!! 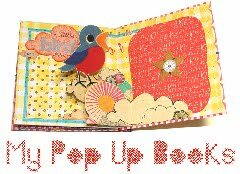 Hi!Just a sneak peek of the next " One Week One Project " free tutorial today!it will feature StudioCalico gorgeous new " Anthology " collection . 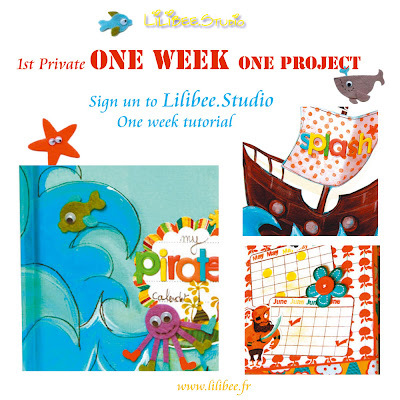 You will to learn how to use cardboard , children stickers , paintings and diffrent other techniques.So stay tuned and do not forget to enter Lilibee.Studio Blinkies contest!! 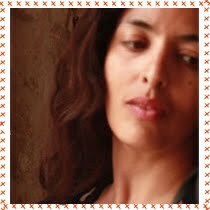 Bonjour!Un petit aperçu aujourd'hui du prochain tutoriel gratuit " Une Semaine Un Projet ".Cette fois ci c'est la marque Studio Calico qui sera à l'honneur.J'utiliserai leur nouvelle et superbe collection Anthology pour réaliser un trés jolie album plein de textures et de techniques.Alors à trés bientot et n'oubliez pas que vous pouvez encore participer au tirage au sort blinkies. 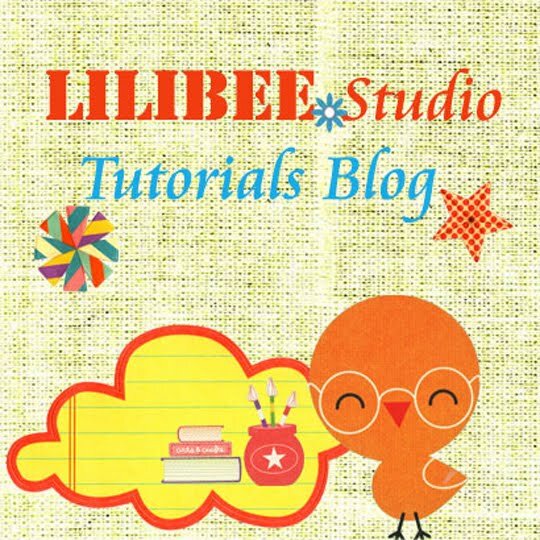 Hi!Did you notice that LilibeeStudio has brand new blinkies? 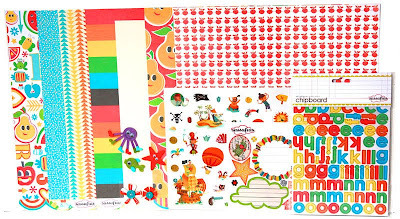 You can see them on the left sidebar of the blog.If you love this blog and would like to spread the word about it copy the html codes HERE and add them to your blog.Then leave me a comment on this post with the link to your blog so i can check.I will pick one of you and send her ( him ) this super Sassafras goodies bag!! I will be back very soon with new and inspirational projects and techniques. 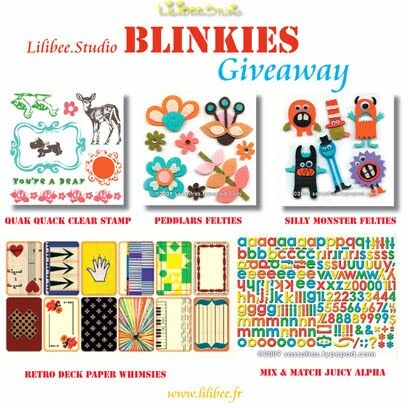 Bonjour!Aviez vous remarqué ces Blinkies Lilibee.Studio ?Vous pouvez les voir aussi sur la coté gauche de ce blog.Si vous aimez ce blog , et voulez le montrer alors copiez les codes HTML de ces blinkies ICI.Mettez les sur le ( ou les ) coté (s) de votre blog ( il n'est pas necessaire que vous fassiez un post).Laissez moi ensuite un lien dans les commentaires ( pour que je verifie :)).Je tirerai au sort l'une d'entre vous et lui enverrai un paquet plein de Sassafras.Je reviendrai bientot pour de nouveaux projets et tutoriels. 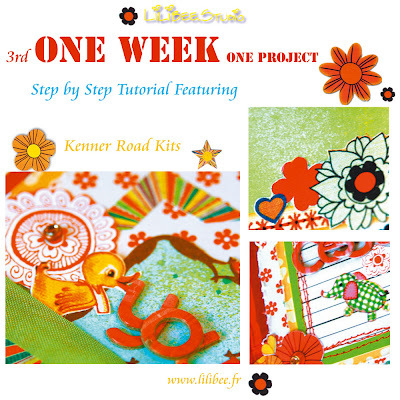 Kenner road kit winner and next "One Week One Project" private class!la gagnante du KIT Kenner road et prochain " une semaine Un Projet "
Et maintenant voici l'heureuse gagnante de ce superbe kit offert par Kenner Road:Françoise!! 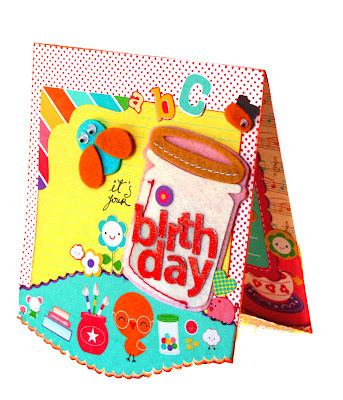 Felicitations;Envoie moi ton adresse afin de t'envoyer ton cadeau. 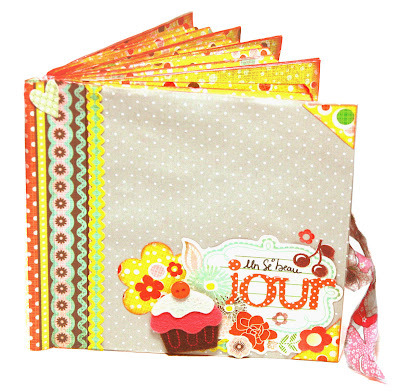 And the winner of this gorgeous Kit kindly offered by Kenner Road is:Françoise!! 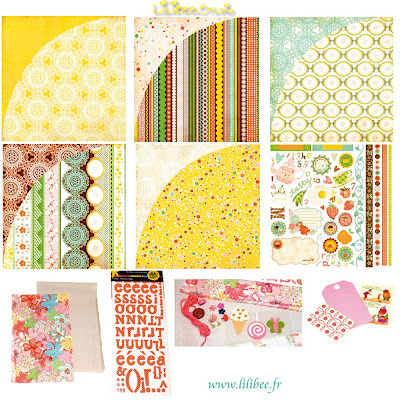 next "One week One project " kit!Le kit du prochain " Une Semaine Un Projet"
Hi!Few days ago i was asked by this gblog followers to provide the kits i use to design my " One Week One Project" tutorial projects.It is done! 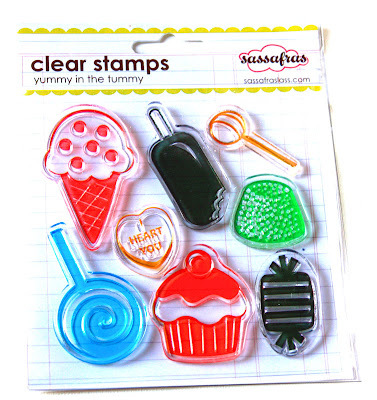 !You can see above one of the kits i will use to design the tutorial ( i will add chipboard and few secret supplies ;) ) .I you are interested in bying the kit email me .One o the buyers will receive this beautiful set of Sassafras clear stamps. 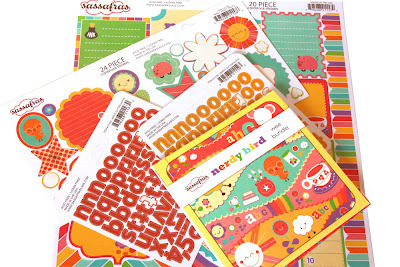 Sassafras DT project sneak peek! 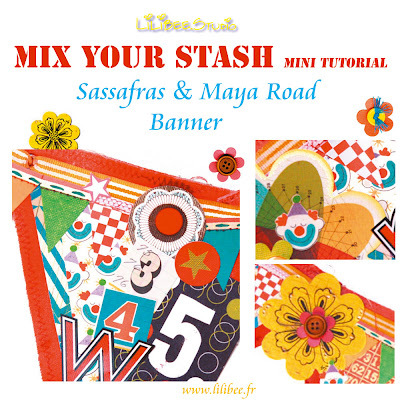 Bonjour!Un petit aperçu aujourd'hui du petit tutoriel que je vous présenterai demain.Il y a quelques semaines lorsque j'ai reçu mon colis de la DT Sassafras , Rebecca la directrice de Sassaras y avait glissé quelques produits Maya Road .Je les ai donc utilisé et mixé avec la superbe collection Apple Jack.Je vous invite donc à revenir demain par ici pour découvrir ce projet.A trés bientot. 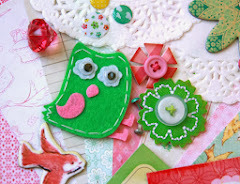 Hi!Un little sneak peek today of a tutorial i will post tomorrow.Few weeks ago i got some Maya Road stuff with my Sassafras Dt package.I used them altogether with Sassafras Apple Jack collection papers and some other Sassafras goodies .I had a lot o fun doing this project.So don't miss it and stay tuned. 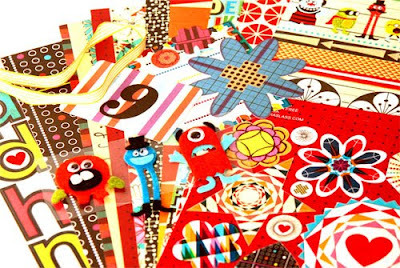 Hi!LilibeeStudio has a brand new ETSY shop.I want to celebrate it with you.You can get 15% off on the hole shop.You just have to get the 15% of the amount when you are on paypal. Et les felties Jar of Critters.Voila je vous dit à demain pour le nouveau tutoriel " Une semaine Un Projet ". 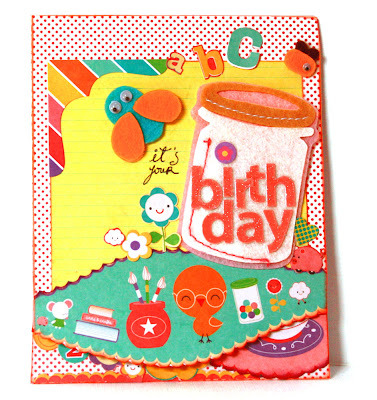 Hi!i wante d to show you this card i made using Sassafras Nerdy Bird collection.I love this collection so much and all these cute little details.I used wee Bundle , the perfect for making cards and mini albums.I also used nerdy bird stickers - sweet treats stickers , glitter alphas and Jar of Critters felties.That's all for today.I ll be back tomorrow with the 3rd One Week One Project " tutorial. Bonjour!Un petit peu d'actualité atelier aujourd'hui; Voici donc le récapitulatif pour mars et avril. les conditions:Inscriptions par avance obligatoires avant le 17 mars . 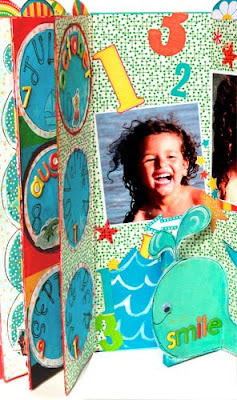 Je vous propose de réaliser un mini album Pop-Up à la structure en forme de carrousel , aux couleurs vibrantes et chaudes .Un univers pétillant , des matieres originales caractérisent cet album- objet , idéal pour décorer une chambre d’enfant ou pour offrir . 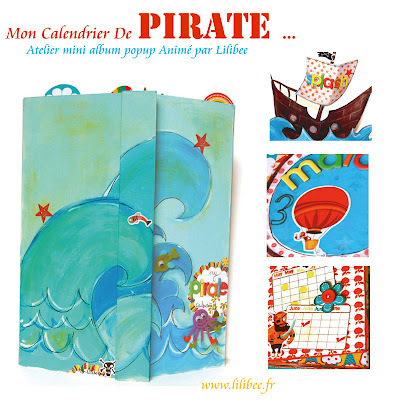 Atelier Mini-Album Pop-Up "Mon Calendrier de PIRATE"
Vous avez toujours revé de creer un album en 3D et vous n’avez jamais osé vous lancer ?Cet atelier est pour vous ! 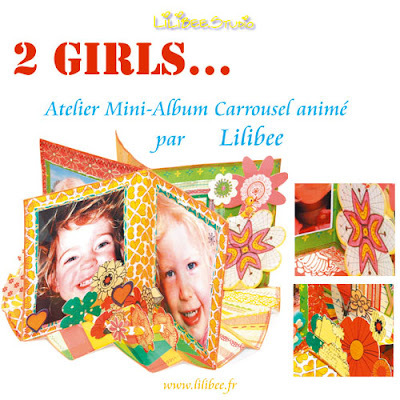 !Je vous propose de réaliser un mini album Pop-Up à la structure inedite en forme de carrousel.Un manege enchantée au belles couleurs du printemps.Un univers trés feminin, plein de surprises caractérise cet album- objet , support idéal pour celebrer une journnée unique telle qu'un mariage , un bapteme ou un anniversaire.Un trés bel album-objet à offrir ou pour decorer votre scraproom. 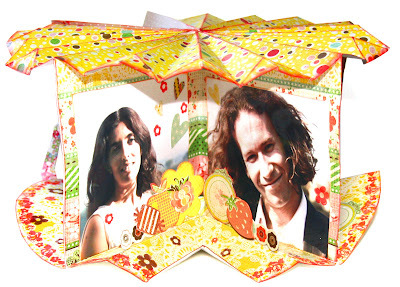 Bonsoir!Un petit aperçu ce soir du prochain et 3eme " Une Semaine Un Projet ".Le tutoriel debutera lundi 8 mars et mettra en avant Kenner Road, l'un des plus beau kits club américain du moment.Dailleurs vous aurez un aprçu de leurs kits puisque j'en utiliserai un pour ce nouveau pas à pas sur une semaine. 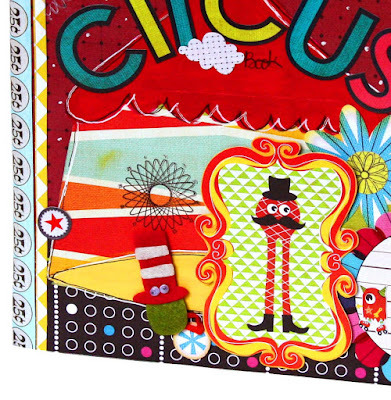 Hi!This is a sneak peek of the next and 3rd " One Week One project ' tutorial.It will start on next monday and feature Kenner Road kit club.I will use one of their beautiful kits.You will get more instructions on Monday march 8th.So stay tuned and don't foget to spread the word about it. Bonsoir!Un petit post ce soir pour vous annoncer que l'atelier que je devais animer samedi au Temple du Scrap à Paris est annulé et je ne le reproserai pas. 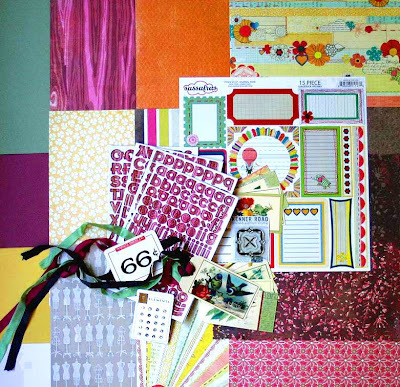 Cependant , vous pouvez vous le réaliser grace à ce kit atelier minialbum .Il comprend des papiers et stickers Nook and Pantry de Basic Grey , des alphabets Rouge de Garance , des felties sassafras, des boutons vintage, des brads sassafras, des tags , de superbes tissus liberty...etc.Et cerise sur le gateau , les 5 premieres personnes qui passeront commande recevront un petits sac plein de Goodies ( materiel scrap trés sympa!! 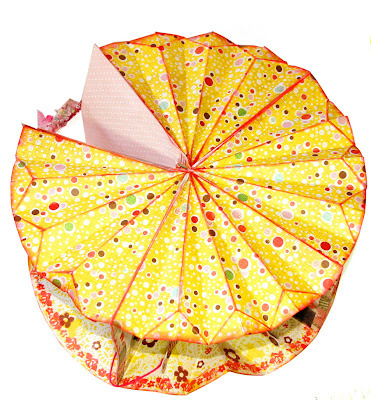 ).Si vous etes interessées , envoyez moi un mail ou allez dans la boutique.Alors à demain . 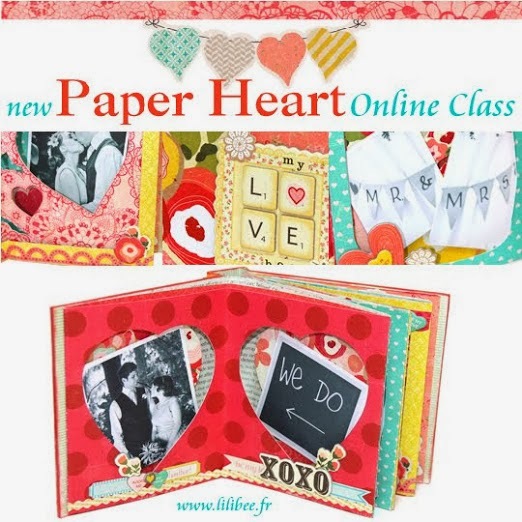 Hi!Unfortunately i had to cancel the workshop i was going to teach on saturday at Le Temple Du Scrap in Paris.However , poeple interested in this class can get the kit and the step by step instructional PDF at my ETSY shop.The 5 first poeple who order will get a goodies bag .You can order via ETSY or email me. Hi my friends.Thank you so much to all of you for the sweet comments you left on my previous post. It makes me feel happy to know that poeple from all around the world care for me and my family.I just want to tell you that my inlaws are safe. We are waiting for the house to dry up but it will take days.In the meanwile life must go on and the best thing to not think about all this situation is to scrapbook.So i am working on new classes and tutorials.I just wanted to share this tutorial i made few months ago for LilibeeStudio featuring Hambly.I did not forget the giveaway so keep on entering the contest on this post.I will be back very soon to announce the winner.